Eighteen year-old Brandon Adkins and nineteen year-old Charles Trowbridge have been arrested for two serious crimes. 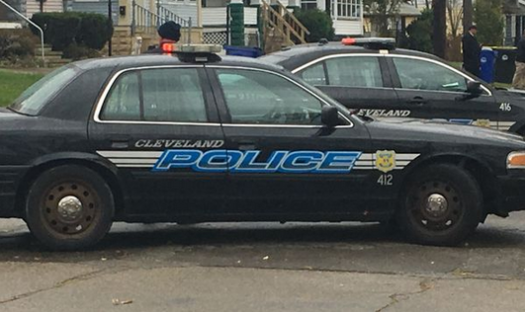 They have been accused of not only fatally shooting an eighteen year-old woman, but also robbing another woman at gunpoint in the Cleveland area. Both of the incidents occurred within a three-day span. The two have been charged with felonious assault and aggravated robbery. The first incident occurred on November 25 around 5:30 in the morning. Adkins and Trowbridge robbed a thirty-five year-old woman as she got out of her car. The woman gave her wallet and her keys to the suspects, who then drove off in her white 2015 Kia Optima. On November 28, the two men committed another crime that would leave to a young girl losing her life. Shania Brooks was in a red SUV with Adkins and Trowbridge, which was parked on the street in the 7000 block of Lansing Avenue. Trowbridge pulled a gun on Brooks and shot her in the neck. The men pulled her out of the vehicle and left her on the side of the road. Brooks was taken to MetroHealth as soon as she was discovered. She was in critical condition, and was later found to be brain-dead. Doctors told detectives that she would not survive and it was reported to the judge that she had passed. Adkins and Trowbridge originally had their bond set at $25,000. However, when news of Brooks death reached the judge the bond was increased to $525,000. Their case will head to a Cuyahoga County grand jury which can charge the men with additional crimes. Both of the men had criminal convictions as juveniles.